How many of your clients and patients come to you with prior diagnoses of chronic fatigue syndrome, fibromyalgia, even multiple sclerosis, but no treatments have helped them so far? Do you want to be the practitioner who can finally make a difference in these patient’s lives? If so, knowing how to diagnose and treat chronic infections such as Lyme disease will give you that knowledge. ... which is why we created Lyme-Ed for Practitioners. 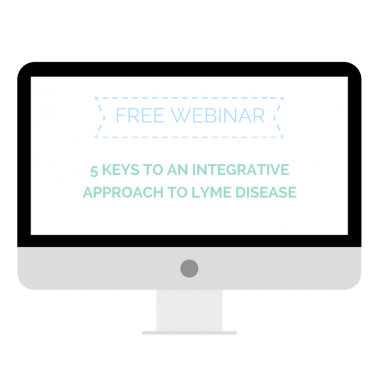 In over 20 hours of valuable content, you can learn everything you need to know about adopting an integrative approach to Lyme. Learn the nuances that you won't find anywhere else - what to do if antibiotics stop working, how to use a herbal co-infection provocation to assess which co-infections are dominant for your patients, strategies for emotional healing and ways to break through detrimental neural pathways, and 10 key factors that can hinder patients’ recovery. If you want to understand the complex illness that chronic Lyme disease is, make sure you are covering the bases you need to cover, or find new ideas for your patients' treatment, Lyme-Ed is the program for you. This version contains all of the Lyme-Ed content including Dr. Nicola’s favorite products and protocols. To comply with CPD guidelines, the CPD version of Lyme-Ed For Practitioners does not contain any references to particular products or protocols using specific products. ** Please check the LDAA website for the status of your association’s recognition. It can get difficult and complicated. That's why we created Lyme-Ed: to drive clarity, direction and guidance to the otherwise hazy and complex treatment options for chronic Lyme.